Making quick deposits and withdrawals is essential to playing the blackjack title with the lowest house edge online – Microgaming’s Classic Blackjack offering a 0.13% advantage. We recommend international players sign up to a e-Wallet such as Skrill to make quick and easy deposits and withdrawals, and for punters who want an extra layer of security between their personal accounts. The lowest house edge available on a blackjack titles is Microgaming’s Classic Blackjack game found at most of our recommended Internet casinos. But to play this, you need to deposit real money into your casino account. There are a number of methods, including multiple web wallets, but Skrill e-Wallet is considered to be one of the best. Players simply head to Skrill’s website, protected by the latest encryption technology financial institutions use for their online banking, and open an account. It only takes a few minutes to register, similarly to the amount of time it takes to sign up for an online casino account. 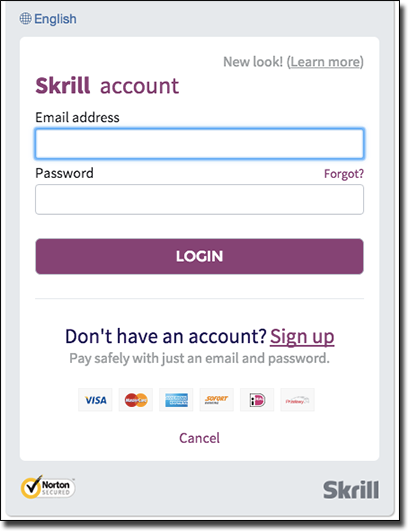 Players then link a personal bank account to their Skrill account with credit and debit cards available, as well as Internet transfers. An email address is used as the username, and a password created to use to make a deposit at an online casino of your choosing. While Skrill acts as a layer of protection to your personal account, we recommend playing at secure sites only and since the following verified online casinos offer an abundance of blackjack titles, including many with a low house edge, you aren’t sacrificing enjoyment for security. All Slots Casino – Powered by Microgaming there are a number of traditional and unique blackjack titles available. G’Day Casino – Powered by multiple software developers including NetEnt, BetSoft, Ezugi and more offering a huge blackjack variety with big and small table limits. Guts Casino – Also powered by a number of software developers including NetEnt, Microgaming, BetSoft, and more, offering a variety of blackjack games. Royal Vegas Casino – Powered by Microgaming offering traditional and unique blackjack titles. Jackpot City Casino – Powered by Microgaming, with an array of 21 variants and a range of table limits. Each accept Skrill as a payment method so follow our links and sign up, then use Skrill to make a deposit to get playing. Depositing is simple once you have logged on to your preferred blackjack site. Click on the banking link and choose Skrill from the available payment methods. You will then be directed to the Skrill window where you are required to enter the amount you wish to deposit, along with your email and password. Once you have confirmed your details, press ‘Next’ and your funds will appear immediately in your casino account, provided you have enough funds in your Skrill account. Then head to the blackjack or table games category and click on your preferred title in real money mode to get playing. You can actually speed the process up further for the next time you go to top up – perfect when you are mid-game and run out of funds and want to top up quickly. Players can opt in for the Skrill 1-Tap service where your deposits only take one click, or one tap if you are on your smartphone or tablet, as detailed below. When you make your first deposit you just need to click the Skrill 1-Tap option, if available (you will find it at Royal Vegas Casino). The next time you go to make a deposit all you will have to is click once instead of entering your account details again. There are quite a few available blackjack variants optimised for smartphones and tablets – including Apple, Windows, Android, and other portable gadgets – and players can use Skrill on their mobiles to make a payment. The process is similar to desktop deposits via Skrill you just tap in your details and can opt in for Skirll 1-Tap for future deposits too. There is also a Skrill app available for 21 players to download and log in to view your balance, and top it up if necessary. Players can opt in for prepaid MasterCard via Skrill and receive a physical card to deposit with, if Skrill isn’t accepted and MasterCard is. You can also use the physical card to withdraw funds from your Skrill account at participating ATMs. If you’ve managed to employ basic blackjack strategy, perfectly and pocketed some winnings, you’re going to want to withdraw these. Skrill can be used to withdraw funds so there is no need to change payment options from your deposit method. Simply head to the banking page as you would when making a deposit, but opt for the withdrawal link instead of the deposit link. Here you can enter how much you wish to withdraw and your Skrill e-Wallet details. Processing times can take from 24 hours up to 72 hours or longer if a reverse hold is applied by the online casino. Since Skrill creates a layer between your personal bank account and the online casino your funds are protected. Skrill employs encryption technology which financial institutions use for their online banking services meaning when you fund your Skrill account with your personal account, you aren’t compromising your payment details or security. However, we still recommend playing at secure sites when playing blackjack online as this will ensure an overall good gaming experience and if you do win you will be able to withdraw with Skill easily. If you want a great online casino which supports Skrill’s easy and safe deposits system, our top recommendation is to AllSlots.com, which specialises in the very best real money pokies in addition to the best Internet blackjack titles.